In the mid 1700s, traveling evangelists like Jonathan Edwards, George Whitefield, and John Wesley preached along the countryside of the British colonies, and the seeds were planted for America to become a great nation. It really started almost 100 years earlier, in 1630, when John Winthrop, one of the Pilgrims, preached a sermon entitled A City on a Hill. The text for the verse was Matthew 5:14 Ye are the light of the world. A city that is set on an hill cannot be hid. Winthrop said that God ordained the colonies in America to be that city on a hill. They were the New Jerusalem that would evangelize the world with the Gospel. Over the next eighty years, colonists forgot those awesome words and had drawn away from God. Church attendance was at an all time low, and few felt Christianity played a major role in their lives. Church service were dry and dull, and most who did go to church did so out of religious duty. When these preachers came on the scene it changed America for the better. They were fiery, emotional, and commanded attention. When Jonathan Edwards preached Sinner in the Hands of an Angry God, it was reported members of the congregation held on to the church beams fearing the wrath of God and the fire of Hell. Conviction spread all over the colonies, and people responded by having a "born again" experience with God that changed their lives forever. Many denominations rose up during this awakening including Methodists, Presbyterians, and Baptists. Christians now felt they could have a personal experience with God and learn Scripture and doctrine for themselves instead of only relying on church leaders. Congregational leadership was determined by the congregations, not by church headquarters. One of the biggest changes that took place during this awakening was that everyone was included. Slaves and poor men came to the meetings and were saved. It created a national unity and identity that later set the stage for the American Revolution where men fought for One Nation Under God. not a nation ruled by a denomination or a state church. The colonies had learned that the people decide on the leaders that rule them instead of letting the rulers dictate their nation's politics and religion. Tamera Lynn Kraft has always loved adventures and writes Christian historical fiction set in America because there are so many adventures in American history. She has received 2nd place in the NOCW contest, 3rd place TARA writer’s contest, and is a finalist in the Frasier Writing Contest. 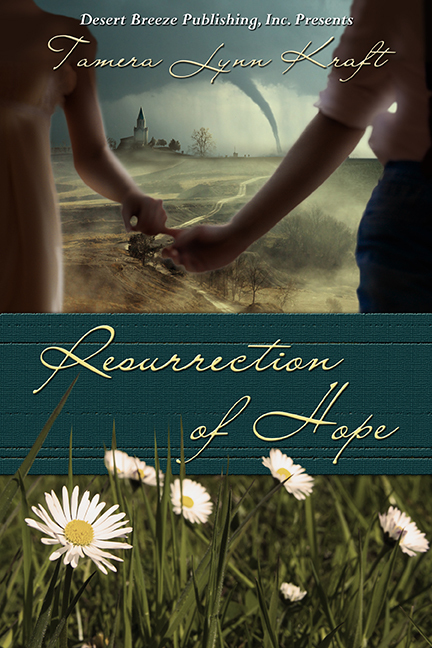 Her novellas Resurrection of Hope and A Christmas Promise are available on Amazon and Barnes and Noble. Thank you for this timing post. America needs revival once again. Since I'm reading a biography of John Newton, who was greatly influenced by Whitfield, I found this especially interesting. Thanks for an insight into a great man's ministry!